If the horror stories we’ve heard from site owners who lost their business to hackers and the bruteforce attack are anything to go by, then you should be concerned about your website security. The first you know could be when you receive an email from your webhost that youre account has been suspended, or worse yet, closed down entirely! If your site has been hacked for a while and you’ve not noticed, Google probably has, and they will have dropped it out of the SERPS! If you’re site has been used for a “phishing” attack to gather other people’s online banking or PayPal login info (one of the more common exploits) then you could be about to get a call from the real world authorities, the Police! 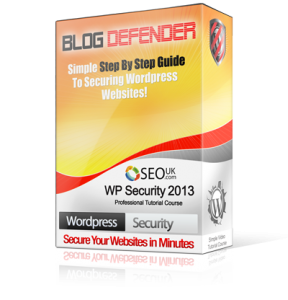 This new set of easy to follow, step-by-step video tutorials show exactly how you can quickly lock down your WP blog to protect from 99%+ of hacks. This is on a Dimesale, so go grab it while the price is still low! To make things even easier for you, there’s a checklist included to help you lock down your clients sites for them!